52735 Washington Street New Baltimore, MI. | MLS# 219007099 | The premier resource for all real estate information and services in Metro Detroit. 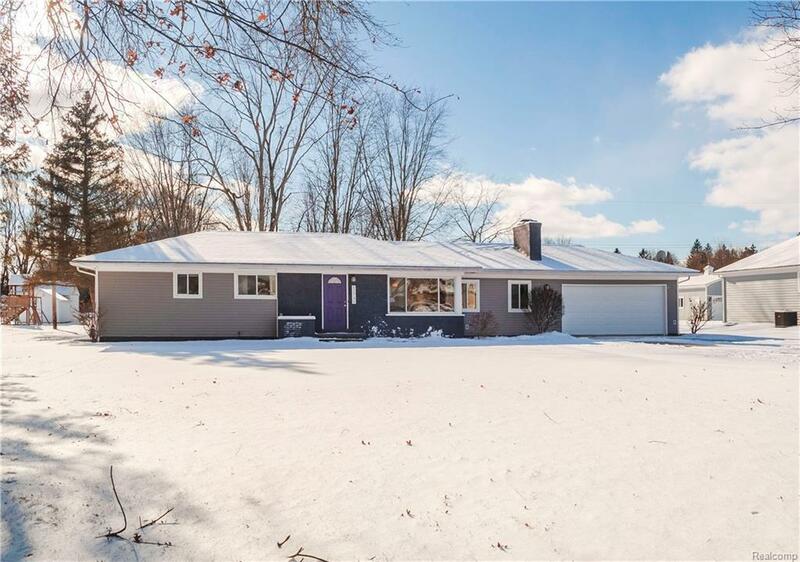 This gorgeous CLEAN Ranch home was fully renovated in 2015 with a new roof, new furnace, new central air, new windows, completely remodeled kitchen and two bathrooms, new light fixtures, all new flooring, and new garage door in 2018!! All Stainless Steel Appliances are also included! The spacious first floor laundry/utility room has a backdoor entrance and washer & dryer are also included! You'll enjoy having two living room areas, an eat-in kitchen and attached garage. In 2017, a large deck was added for entertaining and to enjoy the privacy of the ACRE sized backyard! HUGE shed with loft is included and provides awesome storage! This home is better than new and is in MOVE IN CONDITION and within Award Winning Anchor Bay School District and close to everything! You are minutes to the downtown shops and restaurants, a quick bike ride from parks and schools and less than a mile from the Lake. This home is a WINNER that checks all the boxes!